Angry at the MUTANTS’ failure to destroy the THUNDERCATS, MUMM-RA transforms into a meek BERBIL and tricks SNARF into bringing him inside the Cats’ Lair. 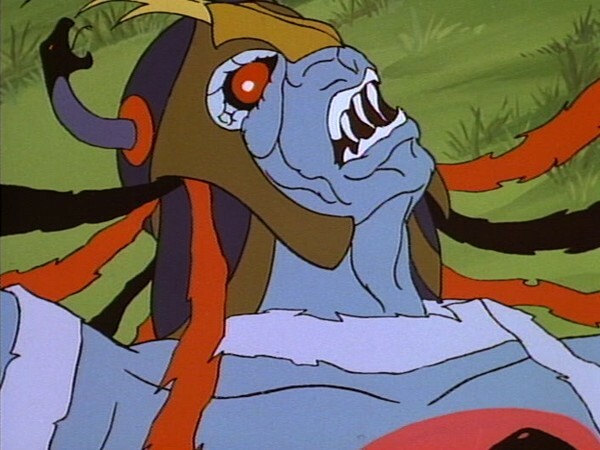 MUMM-RA overpowers PANTHRO, turning him into a ZOMBIE/SLAVE. 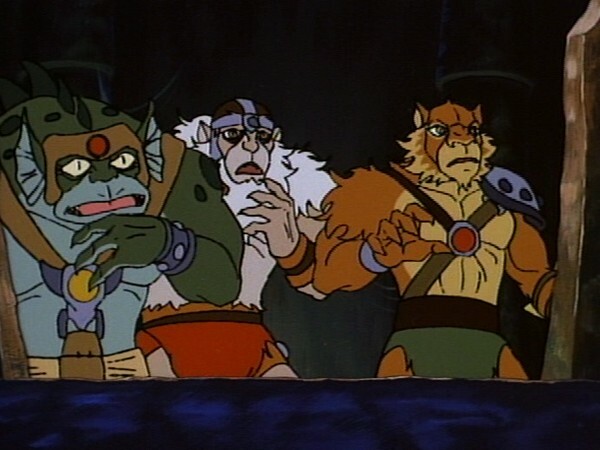 MUMH-RA enslaves WILYKAT and WILYKIT as they play, enslaves CHEETARA as she investigates their cries of terror, and enslaves TYGRA, but not before the latter realizes who is behind it all and warns SNARF. SNARF escapes to tell LION-0, who is away camping. They split up to search the Lair. 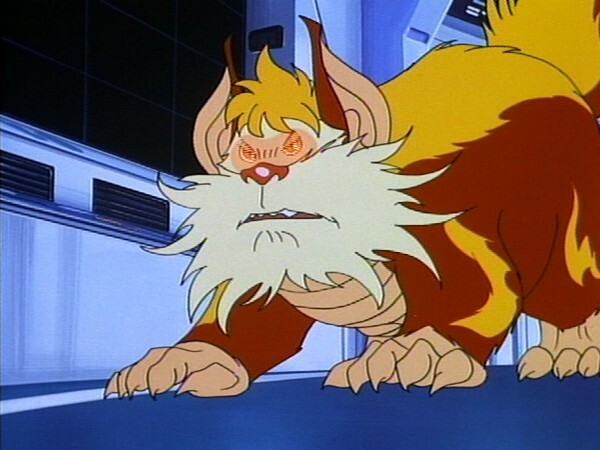 SNARF is enslaved. Under MUMM-RA’s power, all the THUNDERCATS attack LION-0 together. LION-0 flees the Lair, chased by MUMM-RA, who wears a mirror mask to protect himself from the Sword’s reflection. LION-0 uses the Sword to break MUMM-RA’s spell on the THUNDERCATS. Together, they defeat MUMM-RA. 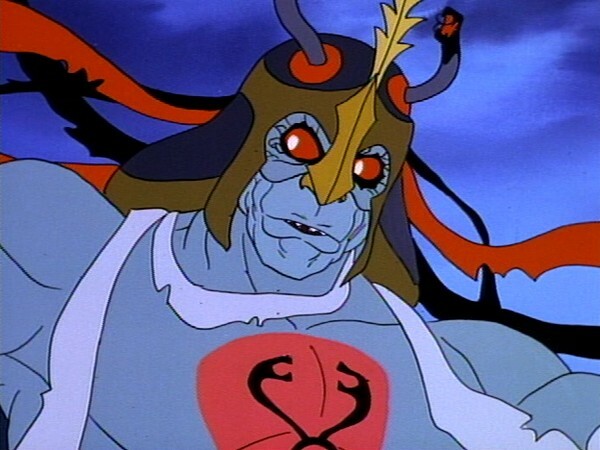 Mumm-Ra disguises himself as an innocent Berbil to try and defeat the ThunderCats. He plays upon their altruism to gain entrance into the Lair. Once inside, he casts a spell on them and, seizing them with slave bracelets, he transforms them under his command. Mumm-Ra’s plan almost succeeds, when only Lion-O is left unaffected by the spell. 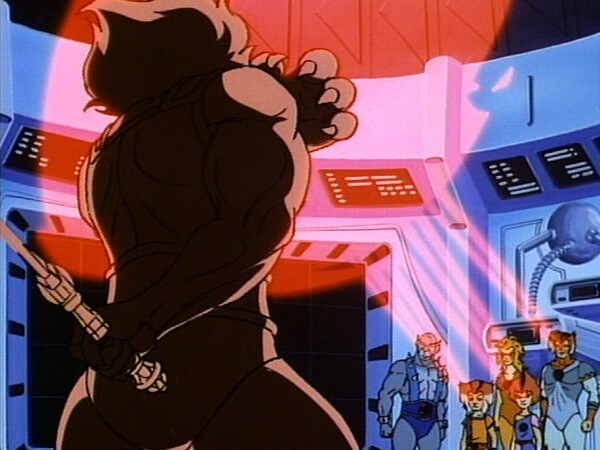 Lion-O chooses not to use the Sword’s powers against his fellow ThunderCats, because he believes in their ability to remain true to their real identities. Instead, he flees in order to fight Mumm-Ra alone with the Sword of Omens. 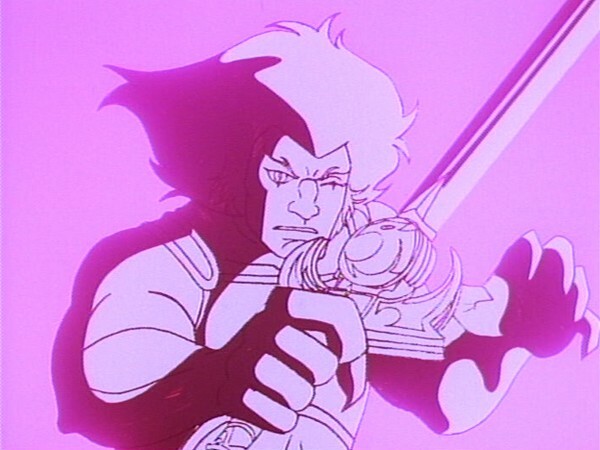 In battling him, Lion-O calls forth the Sword’s power. His faith in the ThunderCats proves well-founded, because their response to the Sword’s emblem is stronger that Mumm-Ra’s spell, and they free themselves from the spell. Returning to Lion-O’s aid, they help him defeat Mumm-Ra. What a person is really like is based on his personalities, which are his characteristic patterns of behavior and modes of thinking in reacting to the environment. Lion-O was tested when the other ThunderCats turned against him. But because his friendship was based on his knowledge of his friends’ true personalities and not on superficial characteristics, he did not lose faith in them. If we choose our friends in this way, we can believe in them in times of crisis or when we hear misleading things about them, because we will know what they are really like. And because personality tends to be consistent over time, if we choose friends carefully, we can expect our friendships to last and be rewarding over a long time. Author H. P. Lovecraft said that “the oldest and strongest emotion of mankind is fear.” This explains why the horror genre is so popular in the world of entertainment. We run away from fear and danger, but at the same time possess a primeval craving for thrills and scares. From ancient times, storytellers have preyed on this paradoxical nature of the human mind to keep their audience engaged. Not only is a good horror story effective at imprinting its moral in the reader’s mind, it also makes the author less prone to criticism as the audience are too busy being terrified to notice flaws in the narrative. 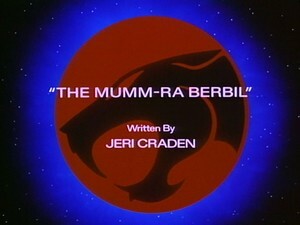 With “The Mumm-Ra Berbil”, writer Jeri Craden steers the ThunderCats saga down a dark and creepy path. Even though the mundane title pretty much gives away the plot, Craden’s cleverly crafted script adds enough surprises to keep it fresh. Starting with the oft-seen visual of Mumm-Ra summoning the Mutants to his pyramid, the episode immediately delivers its first twist when the devil priest proclaims that he merely called the Mutants to show them how it’s done. This time, it is he who is going to bell the cat(s)! Taking on the guise of a harmless Berbil, Mumm-Ra fakes an injury and gets himself invited into the Cats Lair. 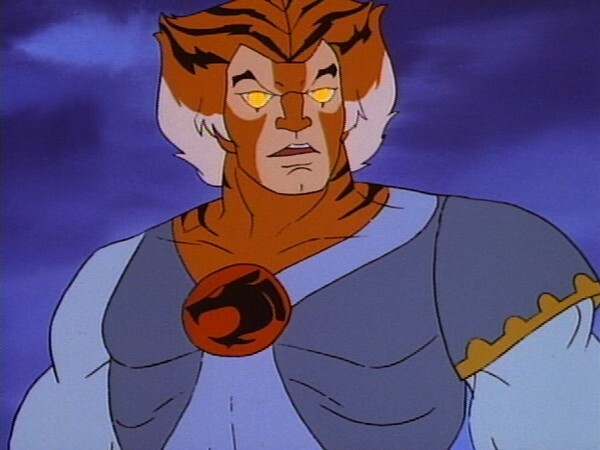 As night falls, he transforms back into his ever-living form and proceeds to take control of the ThunderCats’ minds by shackling them with mind control bracelets. The glowing red eyes and sinister smiles of the possessed ThunderCats is an eerie sight, and Craden even succeeds in converting Snarf into a fearsome creature, not an easy task! Just as Leonard Starr has done in “The Ghost Warrior”, Craden turns the ThunderCats’ fortress into a house of horrors. Needless to say, in an episode like this, visuals play a pivotal role and can either make or break the entire episode. Fortunately, the animation department rises to the challenge and delivers the appropriate dark and moody ambience that the script demands. Even the voice actors give a petrifying performance, and Earle Hyman’s “zombified” Panthro voice is spine chilling! Lion-O is the only ThunderCat missing for most of the episode as he is camping in the woods. Craden neatly keeps Lion-O removed from the initial action so that he can eventually provide a heroic rescue. While Lion-O’s inexplicable outing is peculiar, it is not unique as the youth also takes up mountain climbing out of sheer boredom in “The Mountain”. Craden once again teases the audience by hinting at Lion-O using Mumm-Ra’s reflection to defeat him, but surprisingly, Mumm-Ra pulling an ace, or rather anti-reflection goggles, out of his sleeves. Even though Mumm-Ra is eventually defeated in the clichéd manner, the temporary twist in the flow of the story makes it more entertaining. 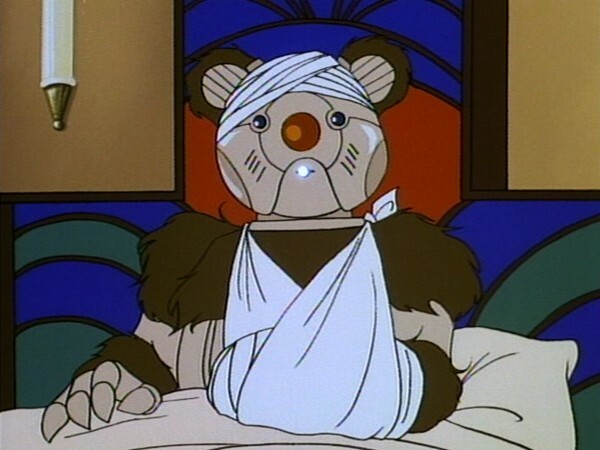 And while “The Mumm-Ra Berbil” may not give adults any nightmares, but it will make children think long and hard before taking their teddy bears to bed with them again! Apart from their brief cameo at the beginning, the Mutants do not appear in the episode. Before gaining control over Panthro, Mumm-Ra unleashes an energy bat on him. Safari Joe, in his titular episode, employs the same strategy against the mighty ThunderCat. It appears that Panthro’s chiroptophobia (fear of bats) is common knowledge among the ThunderCat’s nemeses! 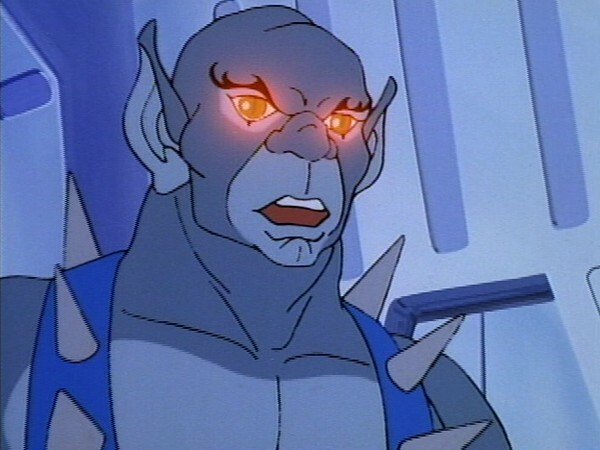 Even though Mumm-Ra transforms into Ro-Bear Berbil, as evident by his dark brown fur, he is always referred to as “the berbil” by the ThunderCats. 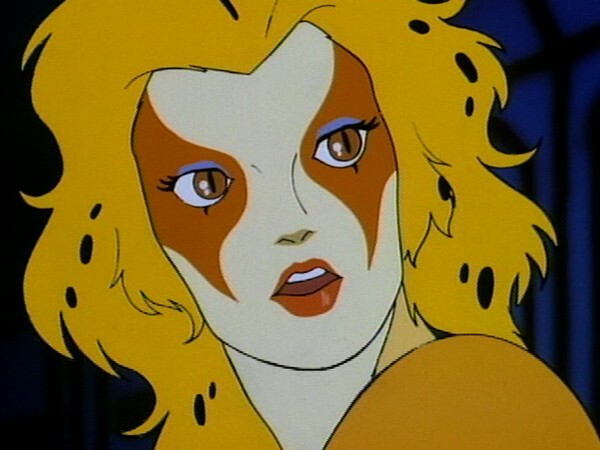 A glimpse into Cheetara’s wardrobe reveals identical specimens of her outfit and her boots. 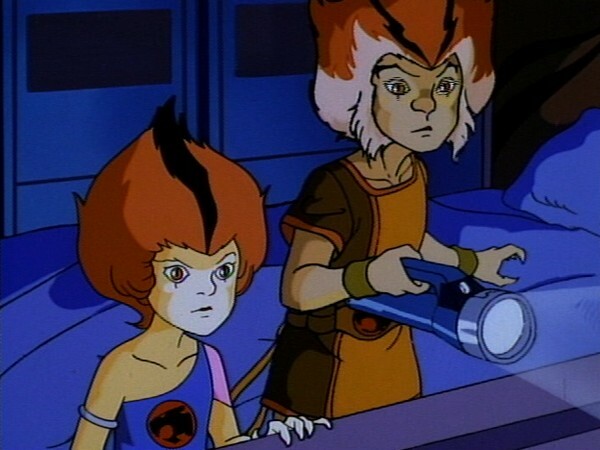 Rather curious, as Jaga endowed each ThunderCat with only one costume in the pilot episode “Exodus”. 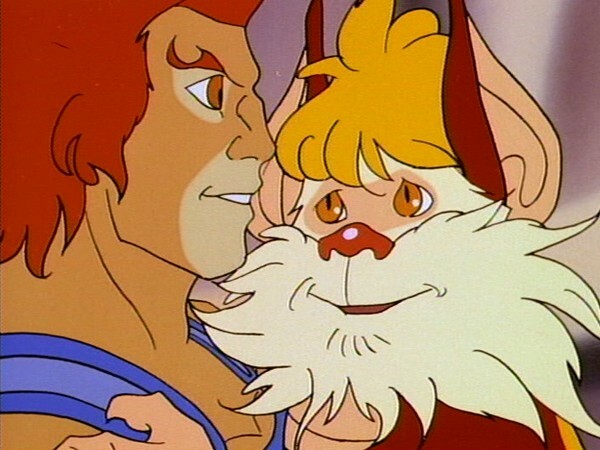 What is even more curious is why only Snarf remained under Mumm-Ra’s control when Lion-O freed his teammates by summoning them.